Mikvah Meir is located in the heart of Crown Heights at 394 Kingston Avenue, between Montgomery & Crown Streets. *The Mikvah building is accessible to tagholders from 4:30am. 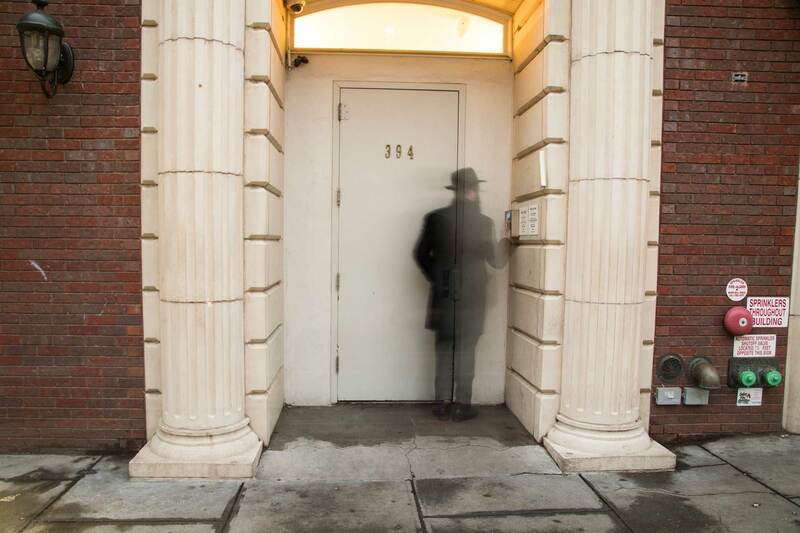 During standard Mikvah hours, the front door to the building will remain unlocked. 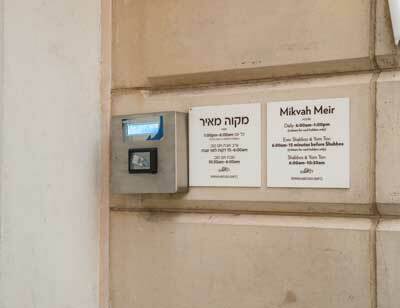 Mikvah Tag holders may gain entry between 4:30–6:00am by scanning their tags on the sensor box next to the front door. Before going downstairs to the Mikvah, please make sure that you have the appropriate cash or that you have credit on your Mikvah Tag. You may obtain exact cash using the change machine upstairs. 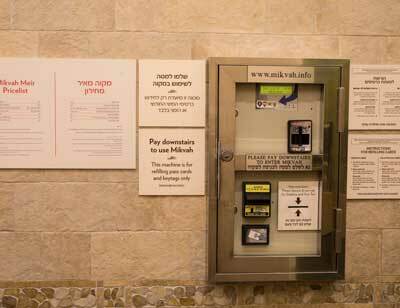 You may add credit to your Mikvah Cash Tag or pay applicable fees for your Monthly Tag using the refill machine upstairs. The machine accepts credit card or a minimum of $20 cash. 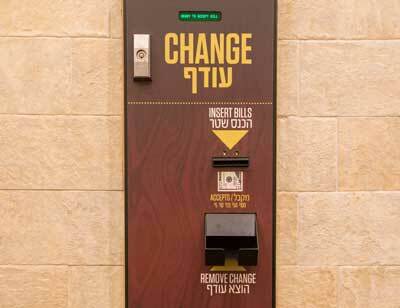 The machine does not dispense change! Any extra money will remain on your tag as credit toward you next month’s membership. Please follow the posted directions and remember to scan your tag after inserting the money so the machine will transfer the credit onto it! When you scan your tag or place the appropriate cash in the entry machine, a green light on the turnstile will indicate that your payment has been accepted. 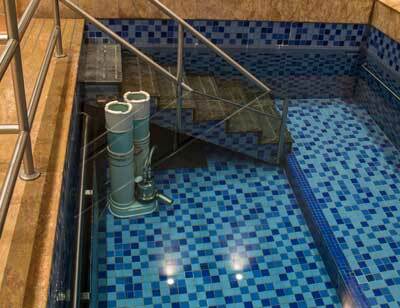 Proceed through the turnstile to use the Mikvah. 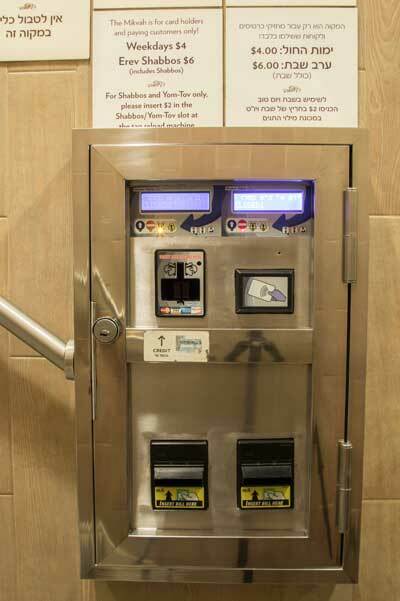 The Entry Machine accepts all coins and $1 and $2 bills, but does not issue change. $5 bills are only accepted Erev Shabbos and Yom-Tov. 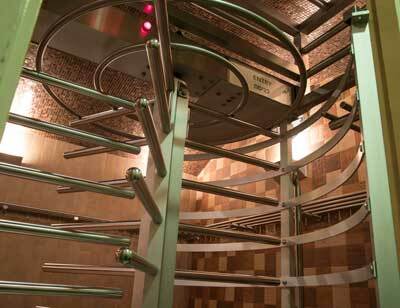 The Mikvah is equipped with 14 modern rainfall showers that work on automatic sensors. A knob in the showers allows you to adjust the temperature as you wish. The water will automatically shut-off in all showers at Mikvah closing time. Each of the 14 showers is equipped with hand-rails. The Mikvah provides plush, full-sized towels for all users. 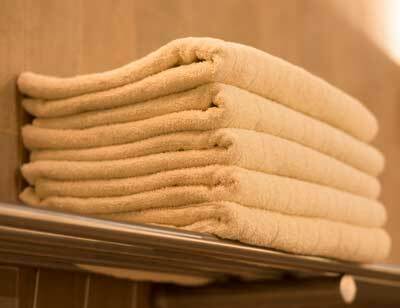 Please place towels in the baskets located in the dressing room when you have finished using them. If you are in need of an additional towel, please insert $1 in the appropriate slot on the Refill Machine upstairs. 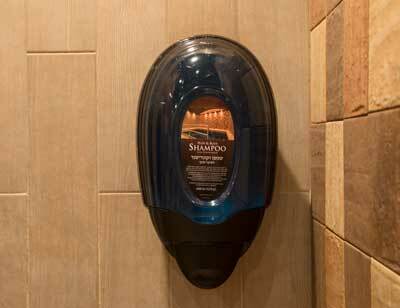 Each shower contains a dispenser with body-wash and shampoo for your convenience. 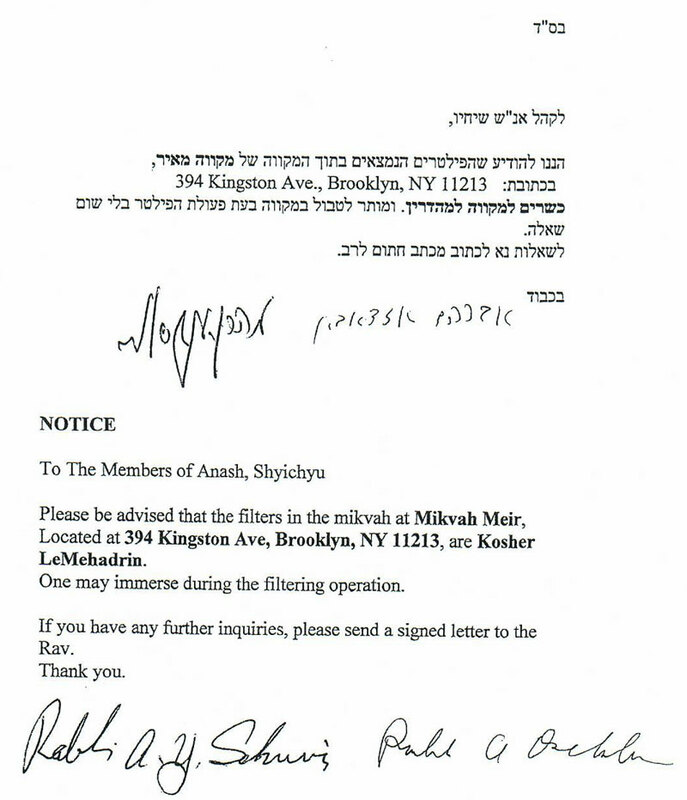 Please be advised that the filter at the Mikvah Meir, Located at 349 Kingston Ave, Brooklyn, NY 11213, are Kosher LeMehadrin. One may inmmerse during the filter operation. If you have any further inquiries, please send a signed letter to the rav. The restrooms are located upstairs, outside of actual Mikvah area. 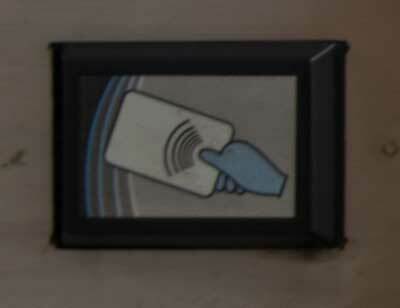 This means that once you leave the Mikvah area downstairs you will be required to swipe/pay to regain entry. Please consider using the restrooms before going downstairs. Access the Mikvah for the current Jewish month* once daily and twice on Fridays and Erev Yom Tov (once before 12pm and once after 12pm). Pay for as many uses as you’d like with no minimum balance required. Gives you access to the Mikvah for the current Jewish month* once daily and twice on Fridays and Erev Yom Tov (once before 12pm and once after 12pm). Available for Bochurim 16 and younger, and active Kollel yungerleit. Youth/Kollel tags are valid for one hour each morning. Please specify when you will be using the Mikvah and your tag will work for that hour and for Erev Shabbos/Yom Tov during regular hours. The discounted Family Tag offers 1 regular monthly membership plus discounted child entry ($16 per child) on Erev Shabbos/Yom Tov. New Mikvah Tags can be purchased for $15 at Post-Mark-It, 383 Kingston Ave.
Credit may be added in the Mikvah’s Refill Machine upstairs. *IMPORTANT: Monthly Membership Tags work according to the Jewish calendar month. This means that you will only get a full-month’s use if you purchase the Membership Tag on the 1st day of the Jewish month. If you purchase a Membership Tag 2 weeks into the Jewish month, for example, the tag will still only grant you paid entry until the end of that same Jewish month. If you load your tag after the 21st of the month, your tag will only become active on the first of the next Jewish month. Please contact us about your lost item. After one week, all items will be donated to Tzedakah or thrown out. Should you misplace your tag, you will need to obtain a new one at Post Mark-It and pay a $15 deposit. We will transfer any credit transferred to your new tag. If your tag stops working through no fault of your own, you will be able to obtain a replacement at Post Mark-it. However, if you physically damage your tag, you will lose your deposit and will be required to pay a $15 deposit for a replacement. Please treat your tag carefully to ensure sure it doesn’t get damaged. There are no refunds for unused credit on your tag. If any of the machines are not working, please contact us immediately. Check this website for updated hours and information on special days, including Erev Rosh Hashana and Yom Kippur and Yomei D’pagra. We take special care to keep the Mikvah clean and functional and we sanitize it daily. Please help us by placing used towels in the appropriate baskets/bins, and by taking all of your belongings when leaving. The Mikvah is open on Shabbos and Yom Tov mornings only for monthly members and those who paid on erev Shabbos/Yom Tov. If you are not a tagholder and would like to go on these days, please make a payment of $2 per day before Shabbos or Yom Tov in the appropriate slot on the Refill Machine upstairs. Thank you for your integrity. Included in the $6 Erev Shabbos or Yom-Tov payment is a single use on the following day (e.g. Shabbos morning or 1st day Yom-Tov), for each following use on Shabbos or Yom-Tov please insert $2 in the Shabbos/Yom Tov slot at the tag reload machine).